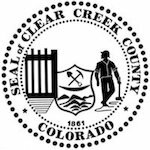 Welcome to the Short Term Rental Compliance Permitting Site for Clear Creek County! Have a question on a notice you received? Although we use many tools and resources to be as accurate as possible, matching advertisements to assessor property ownership records is not a perfect process. If you received a letter for a rental that is not your property - we can take care of updating that advertisement record for you. Please just email us at support@lodgingrevs.com so that we can help as quickly as possible! Need assistance? Check our FAQ's, or Contact Us using the link at the bottom of the page.